Good to see that the Broncos will be playing in Super League next season – we’ll be there for sure! I hope that now the short-term has been settled we can engage in a discussion on the long-term needs of the game. Reports seem to indicate that 2014 is a “taster year” for the owner of Barnet FC to see if this is a venture he wants to pick up post David Hughes. In my view I think the short-term fix gives us an opportunity to properly explore the Broncos vision for the next ten years, and I think a Supporters stake in the club is essential to secure a stable future for the game. I hope that we can engage the Broncos in meaningful discussions about Supporters’ role in the club going forward; I believe David Hughes has always had the interests of the game at heart and would welcome the opportunity to explore as many options as possible post 2014. 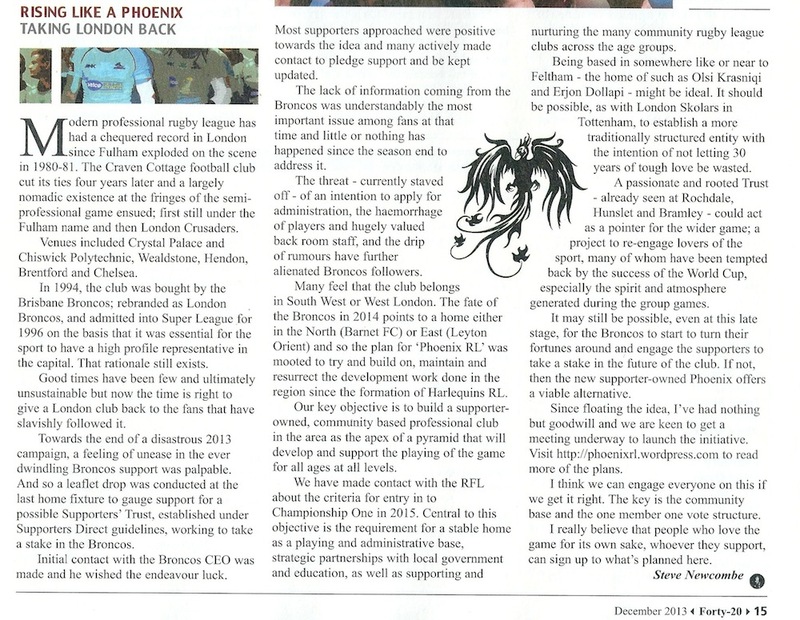 In parallel though I think the work to establish a Trust with the prospect of a Phoenix RL club should be continued. The idea has momentum – in fact more people have signed up to be updated since the Broncos story broke last week – and this would not prejudice in any way any talks about the Broncos that may take place. I still see a fundamental flaw in the move to The Hive as it currently seems to be. 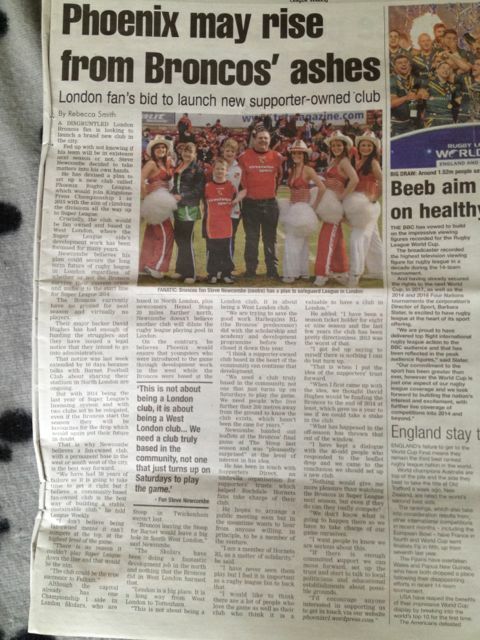 Tony Kleanthous is rightly quoted HERE as saying “This deal represents a new beginning for the club and we hope to work with them in the community to grow the participation and support of Rugby League in North London.” A laudable aim indeed, and one I wish every success to, but it does nothing the address the abandonment of the Rugby League community in South West and West London. Contrary to the “people in this area will never support the game” myth promoted by both “Heartland” naysayers and the Broncos themselves to cover their failure to seize the opportunities The Stoop had to offer, the Club is now prepared to walk away from EIGHT YEARS of tireless community work done since the inception of Harlequins RL. Past relocations have mattered little because the Club has failed almost without exception to engage with its communities, but this time; perhaps despite itself; it has started to build a solid Rugby League foundation that it seems it is quite prepared to abandon. The task of Phoenix RL is to make sure this doesn’t happen; hopefully by becoming a stakeholder in the Broncos but by whatever means it can if that is not the case. Forty-20 magazine is the latest publication to pick up on the Phoenix story. They’ve published an article I wrote in their “Five Drives and a Kick” section. Work continues – developing a Vision Statement and engaging with people in the game to make sure we can be seen as a serious proposition for the long haul. A piece did appear in League Weekly this week. I’m happy that the piece reflects the interview I gave; not sure the kids are happy about a ten year old photo of them in the press though! Broncos crisis seems the grind on – Gary Carter of the Sun reporting the Barnet deal has hit a snag, and it may be the Broncos side that is the problem. I am more convinced than ever that the Trust is the best chance for the game in West / South West London! Early reaction to the plan has been very positive. I’m happy to say that a good number of people agree that we have to start doing it right in West / South West London to deliver a real legacy for the last thirty years and give young Londoners the opportunity to play our great game at whatever level they can. I’ve been working with Supporters Direct on producing a wider “Vision” to broaden the debate about this. I am convinced that the Supporters Trust model is vital to delivering the broad based Club that can bring success. I’m hoping that those who have expressed an interest in joining the Trust – don’t forget to sign up HERE to be kept up to date – will see something during this week. Supporters Direct are also helping to ensure that the wider game is aware that this is a serious project – we’ll have to see in the coming weeks how that work goes. Still some work to do before we hold an actual kick-off meeting. Again I’ll let you know as soon as this is planned. There has been some press interest as well on this. It looks like there will be stories in the next League Weekly and Forty-20 magazine. 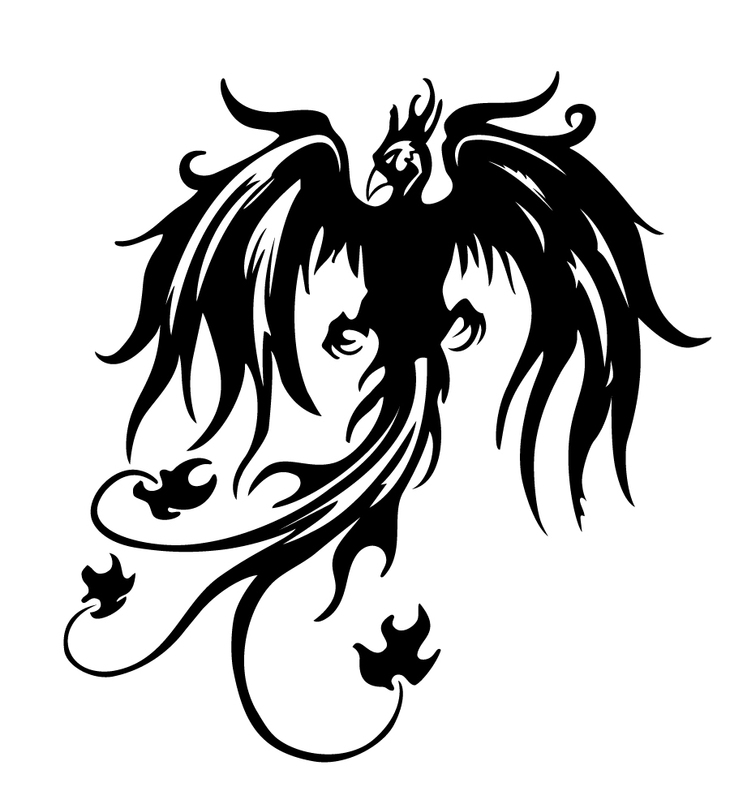 The task of rebuilding Rugby League in London begins today with the launch of Phoenix RL; Fulham’s true successor. A Supporters Trust, based on Supporters Direct guidelines, will be formed with the intention of building a sustainable Supporter owned Club in South West / West London. The Club will aim for professional Status in 2015 while building a stable base for the game based on its own facilities and deep links in the local and Rugby League communities. A brief overview of the task in hand is posted here in the document “Championship 2015 and Beyond”, and a kickoff meeting will be called very shortly. Its a chance for us to build a future for Rugby League, and to show that passion and love for the game can bring long term success.